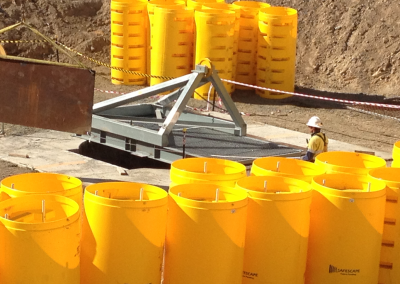 Safescape’s modular Laddertube is made from strong, lightweight plastic and is easily installed as an escapeway or manway for underground mines. Being fully enclosed, it keeps out rocks, water and salt build up that might slow an escape. And the bright yellow plastic won’t corrode or degrade over time. The Safescape Laddertube revolution is spreading across the globe, with installations already completed in Australia, Papua New Guinea, the United States of America, Canada, Portugal, Democratic Republic of Congo, Tanzania, Mexico, Ghana and Spain. We have inquiries and quote requests coming from all continents. 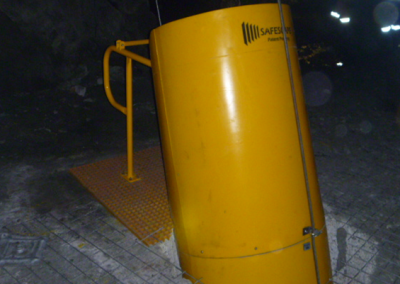 Safescape Laddertube was designed for miners, by miners, and is ideally suited to the conditions found in underground mines. Used primarily for secondary egress escapeway ladders, Safescape Laddertube can also be found in manways. Charged with the responsibility of safely and effectively planning and designing mines, Mining Engineers are often the principal contact for Safescape. Our Safescape team also includes Mining Engineers, which means we have the background knowledge, skills and experience to practically discuss your escapeway needs. 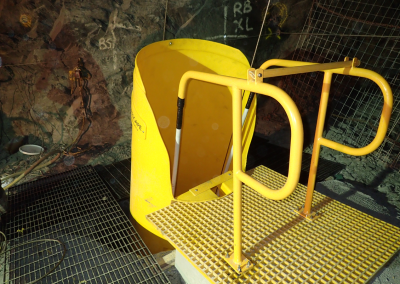 A ladderway that meets all the safety requirements, is cost effective and can be delivered and installed in a timely manner is of utmost importance to Mine Managers. Safescape Laddertube fulfils each and every one of these expectations, and more. 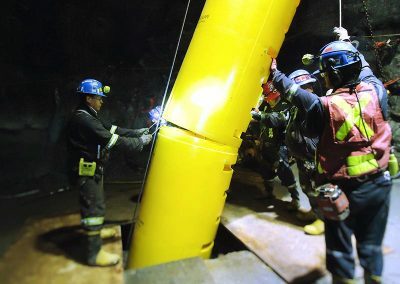 Your mine’s safety and training personnel will appreciate the benefits that Safescape Laddertube provides for Emergency Response Teams; our thorough Safety Management System; and the unique, detailed and comprehensive training material supplied as standard. 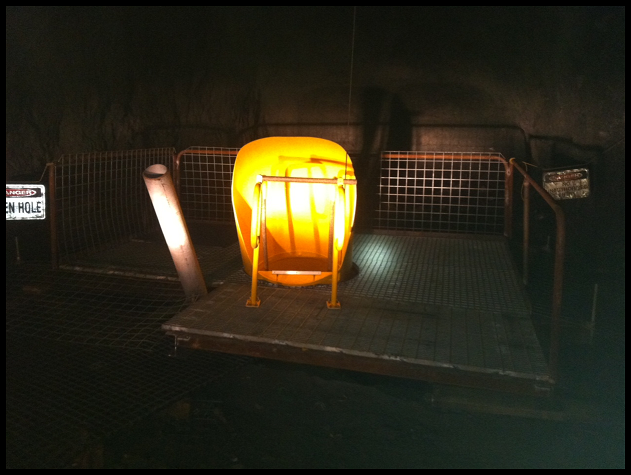 Safescape Laddertube is a state-of-the-art escapeway system designed specifically for use in underground mines. A fully-enclosed, durable polyethylene product, Safescape is not impacted by water, salt or other mineral deposits. It requires minimal upkeep, fits comfortably within a 1.1m / 42” raisebore and provides for the ultimate in user safety. The success of Safescape has been recognised through various awards. To date, over 30,000m / 98425′ of Safescape Laddertube have been supplied to over 90 mines across the globe. It is simply and efficiently installed to any practical length, and represents superior value for money. 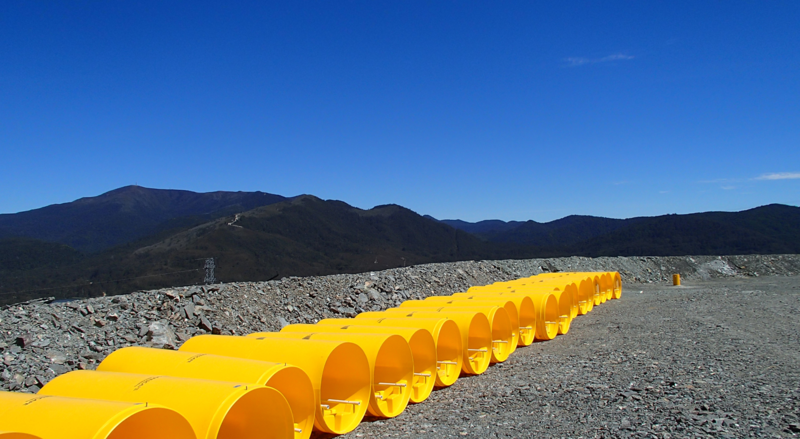 Safescape Laddertube – a Practical Innovation “Designed for Miners by Miners. 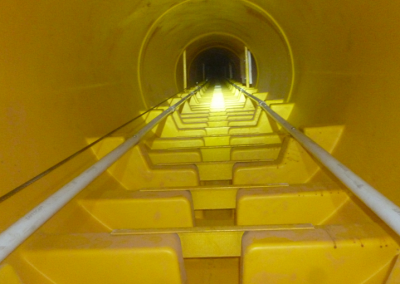 While Safescape Laddertube escapeway system is designed specifically for the underground mining industry, it has broad range of applications. Safescape prides itself on delivering an exceptional product and outstanding service to our valued clients and commitment which has been recognised with numerous prestigious awards. With Australian offices in Bendigo and Perth, a North American base in Denver and a strong presence throughout South America, Safescape is ideally positioned to service the needs of global mining companies. 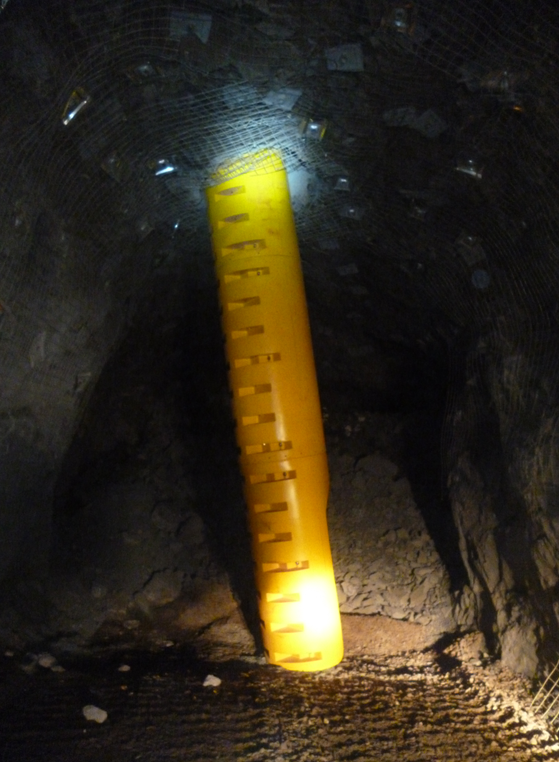 Safescape Laddertube is ideally suited for installation into a 1066mm (42″) diameter raisebored hole of practically any length. 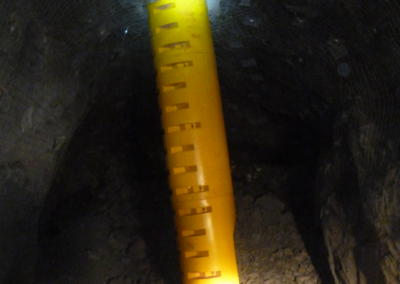 The smallest hole it can fit in is 1000mm (39″) and there is no limit to how large the excavation can be. It has been installed in raises of various angles between 50 degrees and vertical. Safescape can also be used for applications outside of underground mines. It can be used in tower cranes, in process plants and on off shore infrastructure. In fact, Safescape can be used for practically any vertical access application requiring the ultimate in user safety. Safescape was designed with mine rescue in mind; it is a straight line ladder system with landing gate style platforms. The design allows for a rapid stretcher extraction and has a built in fall arrest static line. Climbing with breathing apparatus is aided by the smooth interior surface of the ladderway. The design of the steps also allows the climber to use their lower leg muscles and reduces foot fatigue- a significant benefit compared to rung style ladders. Safescape Laddertube is corrosion resistant and sealed, preventing deterioration and salt build up. Safescape Laddertube is fitted with a static line fall arrest system as standard. 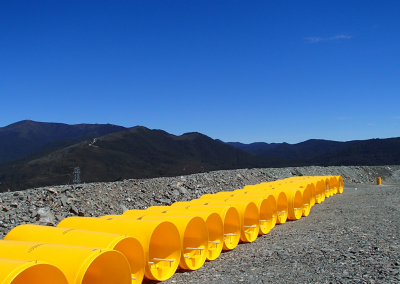 Safescape Laddertube’s resilient plastic construction will not rust or deteriorate, and a backfilled annulus ensures the excavation remains stable for the life of the mine. Keeping escapeways affordable may allow more escapeways to be placed in dedicated fresh air ways. Additionally, the bright yellow construction ensures the ladderway is highly visible, and the design of Safescape allows for a straight line stretcher pull, saving precious time in the event of an emergency. The Safescape Laddertube meets or exceeds the design and testing requirements of AS1657 (fixed platforms, walkways, stairways and ladders – design, construction and installation). 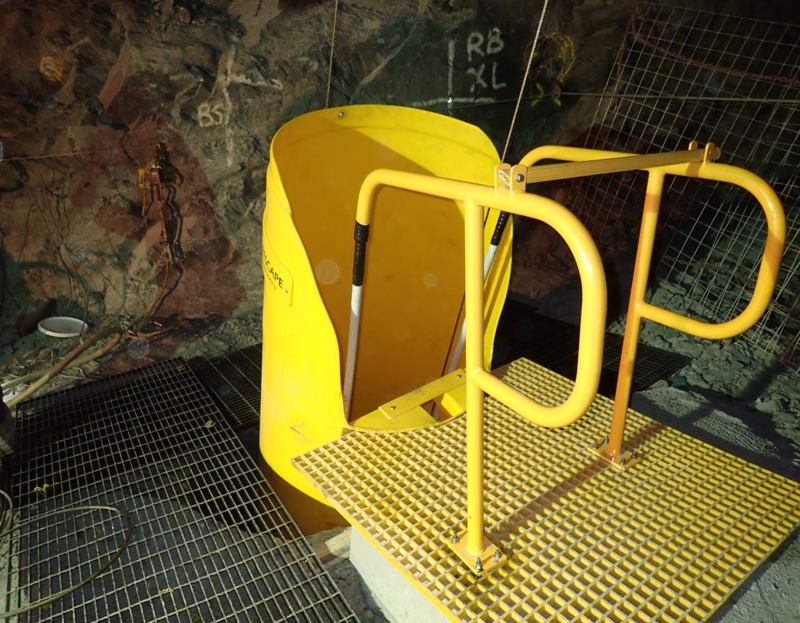 The Safescape Laddertube meets or exceeds the requirements of MSHA for underground ladderways and the WA Mines Safety and Inspection Regulations 1995. 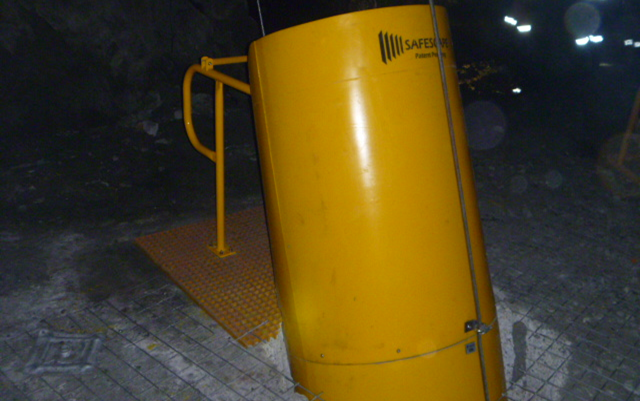 Safescape Laddertube meets various provincial mining legislation requirements for underground ladderways in Canada. We have installed Safescape in various locations across the globe; please contact us to discuss your specific jurisdictional requirements. 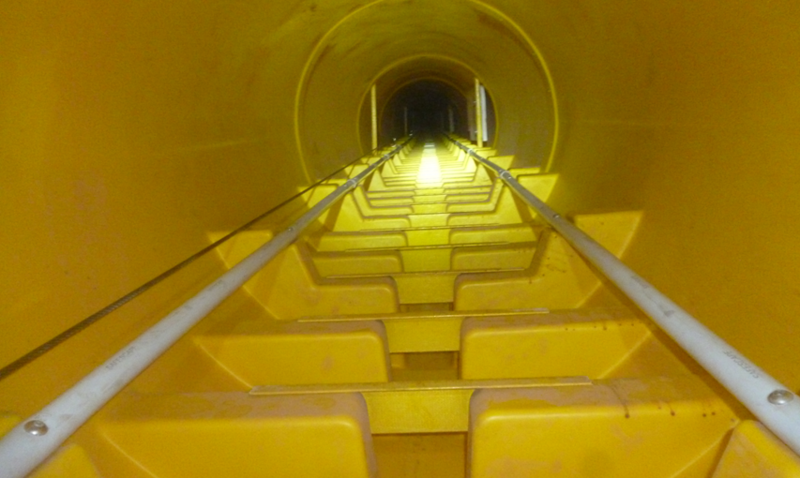 Safescape Laddertube has been designed to ensure a minimum of maintenance is required. Being sealed and corrosion resistant, maintenance should be as simple as routine inspections and cleaning of air deposited materials (i.e. mine exhaust) if required. Safescape Laddertube is not only quick and cost effective to manufacture, it also reduces installation costs by being rapid and easy to install and compact enough to fit inside a 1m rise. There is no need for an IT or crane during the installation, freeing up valuable resources. Backfilling around Safescape can limit the deterioration of rises, which is often costly and difficult to remedy.